The offical club name is the "NZ AJS & Matchless Owners Register Inc" and is part of a world wide group of AJS & Matchless enthusiasts that are dedicated to the preservation and use of AJS and Matchless motorcycles. In New Zealand, we have a strong Register of around 200 members. Originating in Palmerston North, there are now branches or sections all over the country. The Register promotes the riding and preservation of AMC motorcycles of any age and has links to the UK, North American and Australian owners clubs, groups or registers. Once a year the New Zealand Register holds a rally and AGM - The NZ Jampot Rally - (usually) in early March. There's a newsletter every two months, to the membership, with regular contributors from overseas. New members are always welcome, whether you are currently restoring, riding, or just have an interest in the marque. We are a diverse and friendly bunch brought together through a love of AJS & Matchless motorcycles and the desire to help one another and have some fun. Its a good idea if you send us your contact details and Murray, our Membership Secretary will be in touch. He can talk to you about the Register and advise you how to pay and how much as there are two different types of memberships: Individual/Family and Commercial. If you would like to join or find out more about us, drop us a line or give us a phone call! 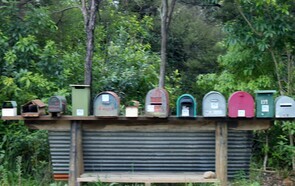 Email, phone, Facebook and snail mail... you choose.